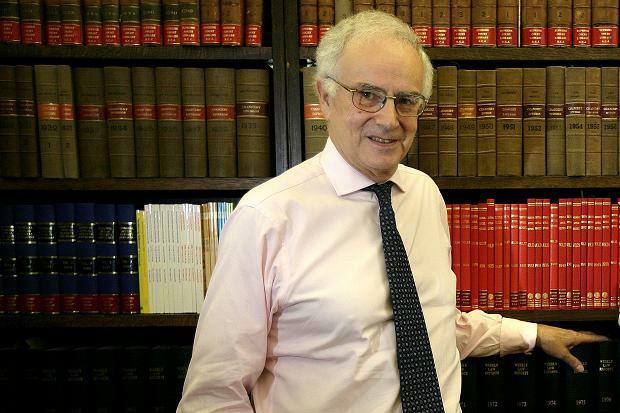 On 1 May 2014 Lord Justice Maurice Kay (pic) dismissed the application by the Press Standards Board of Finance (“PressBoF”) for for permission to appeal against the dismissal of their judicial review application. No further appeal routes are available and the case is now concluded. PressBoF had sought an injunction to restrain the consideration by the Privy Council of the Cross-Party Royal Charter on Self-Regulation of the Press and permission to apply for judicial review of the Privy Council’s rejection of its proposed Royal Charter We had a post about the original decision here. On 19 February 2014, single judge of the Court of Appeal refused PressBoF permission to appeal on the papers. It renewed the application at an oral hearing before Lord Justice Maurice Kay on 30 April 2014. Details of the progress of the application for permission to appeal can be found here. At the hearing Richard Gordon QC for Press BoF claimed there had been an unfair process. It was argued that PressBoF had not been given sufficient evidence of the criteria used by both the DCMS and the Privy Council. Lord Justice Maurice Kay said that, although he was “deeply mindful of their grievances” he would dismiss PressBoF’s application for permission to appeal. In his judgment, he said he believed that PressBoF had been given every opportunity to check what the criteria would have been, especially through the several drafts that were made of the proposed Charter. Not only this, but due to the nature of the Royal Charter and public debate around press regulation, the criteria of a Royal Charter would have been obvious to every member of the press industry – principally surrounding Lord Justice Leveson’s recommendations. The judge went on to say that he was not making judgement on the different varying qualities of the rival Royal Charter, but rather on the contested process. His conclusion was that the process was “not unfair or even arguably unfair” and that the PressBoF argument was a “fanciful” one. Whilst PressBoF has lost this appeal, it indicated that it had issued another claim seeking to challenge the Privy Council’s granting of the Royal Charter on Self-Regulation of the Press. It was said, however, that the second case was “parasitic” on the outcome of the application for permission to appeal and it seems that it is unlikely to be pursued. There was a short report of the judgment in the Press Gazette and a post on the Hacked Off website.